It doesn’t look like the drama surrounding The Simpsons‘ character Apu Nahasapeemapetilon is stopping the show from expanding. 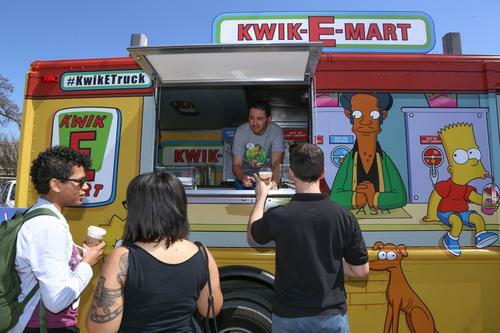 Even though Apu has been cited as a racist interpretation of South Asian culture, his storefront has made its way from the cartoon show into the real world. Myrtle Beach, South Carolina, has gotten the first brick and mortar Kwik-E-Mart, and residents are freaking out.